‘We breathed, we feared but we trusted and within the safe, protected space of our room, we danced, allowing the music to shake up our bodies and free our minds. We let go and the layers began to peel away. Every day, we learned, shared, discussed and laughed and then we danced again, fear, judgement, disempowerment and pain, relinquished from our bodies and minds, into the earth to be transmuted to the love we craved. Together, we healed, allowing our minds to be free to think, to create and to manifest and to step closer to our bodies, to feel the emotions and energy rising through us. Deeper we delved into the closed off parts of ourselves, removing all obstacles and reinstating the power of the goddess, the women we truly are. 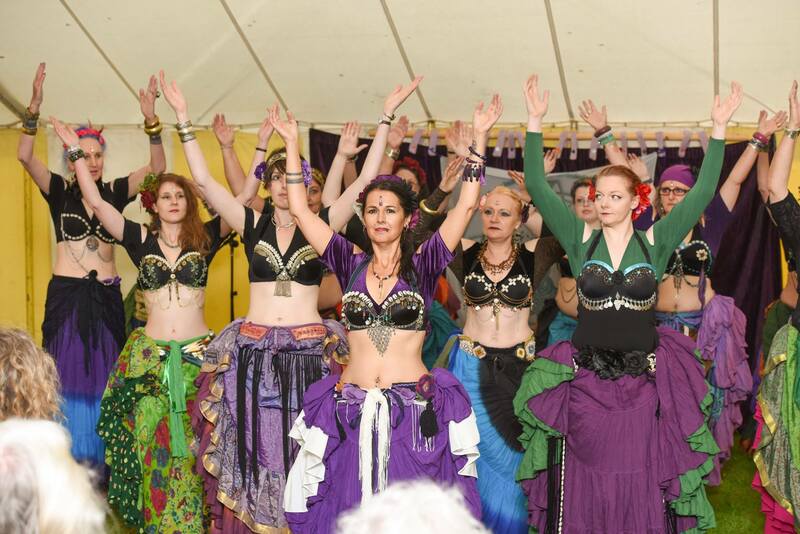 Awakened Bellydance™ changed my life… I was no longer afraid. Without fear, I chose music for Tribal Unity Wales to dance to, confident that I had chosen well and in every lesson I taught, I allowed my heart to guide me. 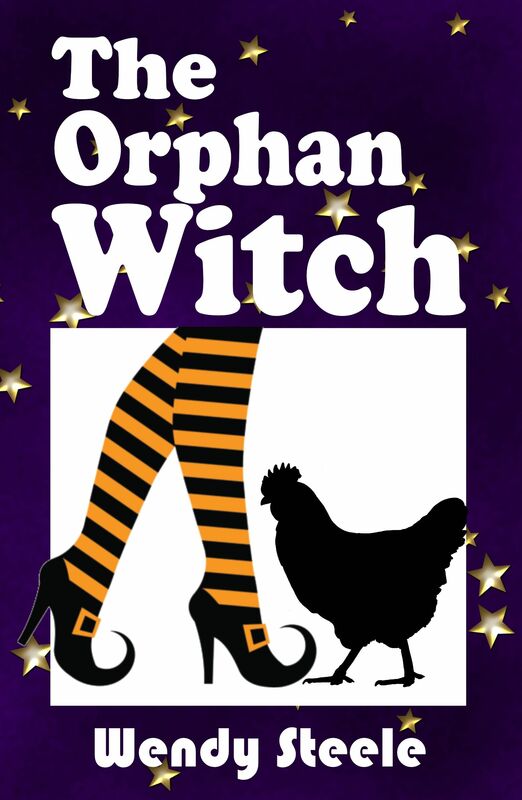 I published my second Witchlit novel ‘The Orphan Witch’, knowing it was the perfect magical sequel to The Naked Witch’ as Lizzie Martin, my main character, followed her heart. The third novel, ‘The Flowerpot Witch’, flowed from my pen. 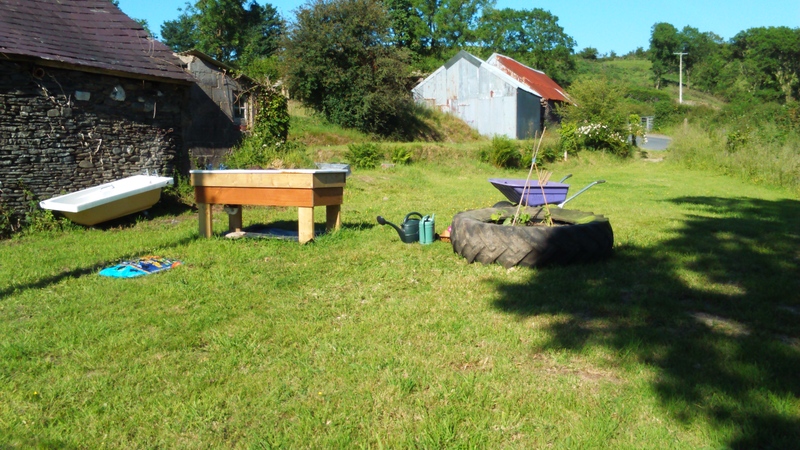 I grew a few vegetables in a bath tub and a tractor tyre and cooked plant based food, gathering new recipes and sharing time cooking with my partner. I sang in the car…and in a hot tub in Essex in front of other people! And so much more! Everything I did was different…I was different. I shone with a sense of ‘me’ I’d never felt before. There was no ego, just a deep connection to myself, who and where I was and an understanding of where I fitted into the universe. Life hasn’t been easy. I’ve had a lot to deal with but trusting from the heart, I could cope with anything. One morning, a few weeks ago, I awoked to depression, anxiety and fear. I wanted to cry. I wanted to stay in bed and hide from the world forever. Why had the fear returned? How had the depression manifested when I was so much more in tune with my mind and body? What had I done to bring this on? What had I done wrong? But I refused to revert back to the old stories. 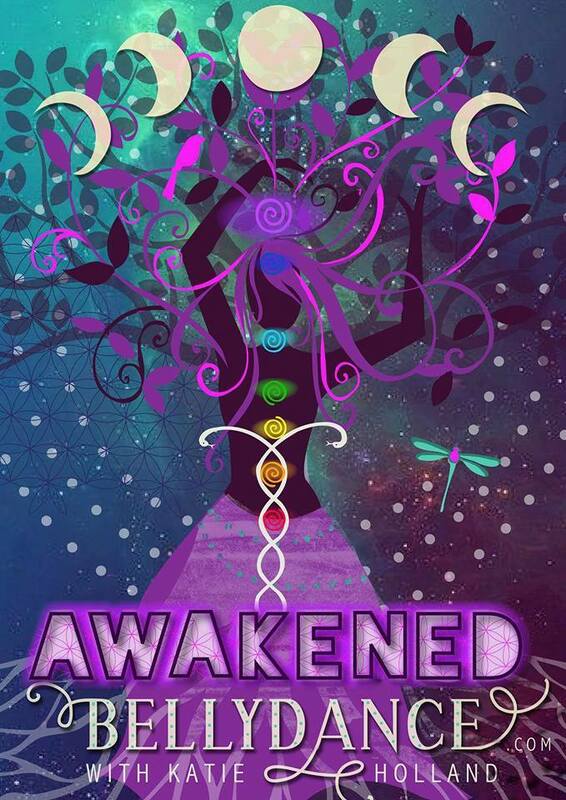 The past is gone, no longer my story to tell so, I chose to see this time as a different kind of chaos and Awakened Bellydance ™ had equipped me with tools I could use to live in it. If I cared one iota about myself, now was the time to use them. I grounded and protected myself every day, sometimes outside in my wellies and dressing gown in the frosty morning air, sometimes indoors. I danced every day to my favourite song at the moment, ‘Wild Things’ by Alessia Cara and allowed myself to laugh or cry, however the music moved me. I continued to write, sometimes choosing to research or write a short story rather than my novel. I taught my dance classes from the heart, allowing myself to be swept up in the music but always focussed on creating the best lesson possible for my ladies. I facilitated Awakened Bellydance™ solar plexus chakra, guiding and supporting women to clear away the old stories where they lacked confidence and self esteem and where they sought impossible perfection. We opened our hearts to new opportunities, stories we could create of focus, achievement, perseverence and resilience. 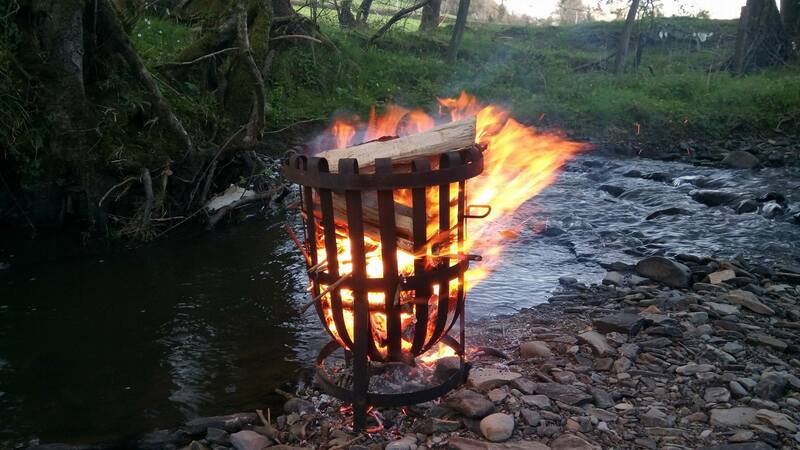 We stoked the fires, burned away the obstacles and rose like the phoenix from the ashes. I’ve focussed on strengthening the connections to the things I care about. 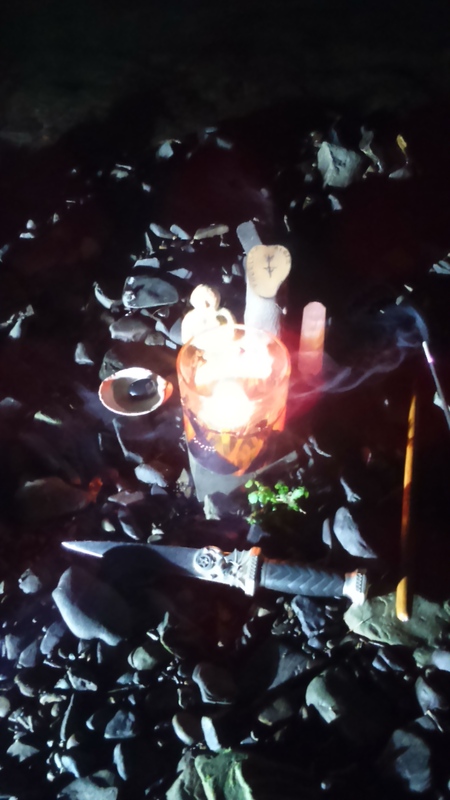 On my riverbank, beneath the magnificent full moon, I blessed my physical sacred tools and sang to the goddess of the moon with my singing bowl. I’ve lived with depression since my teenage years and learned to cope in many ways but Awakened Bellydance™ provides the dancer with the ability to reconnect with herself and the universe. It’s not about coping but living in confidence and love. Not only are the old stories confronted but they’re dealt with and binned and new stories are created, ready to manifest and be the story of the life you want to live. Lift the veil and live your life as the person you really are. Upon the road to Samhein, I’m facing my fears. Working on my root chakra, Muladhara, the fears of the past haunt me less. I am no longer a child. Little Wendy met her fears in the safe place in the faery wood. They were part of her once, a constant reminder but now, they are abandoned. She leaves the wood a woman. Little Wendy is still there but she is more than that now. 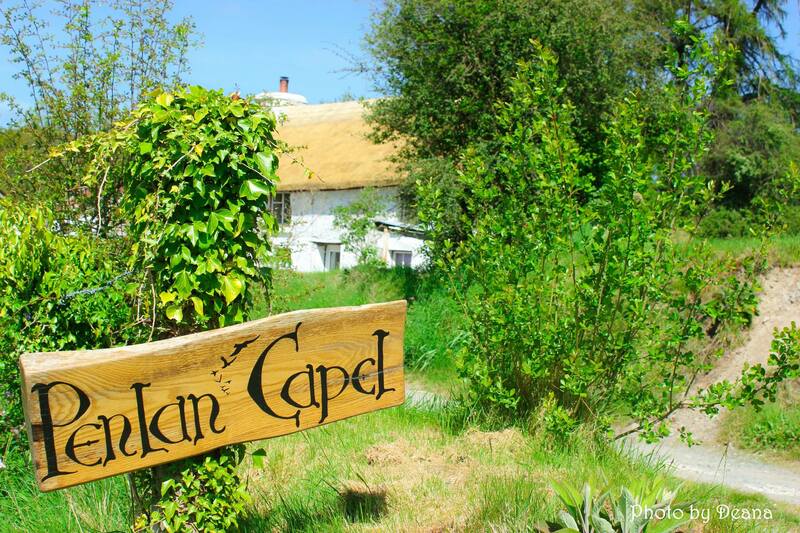 I have followed my dream, to live, write and teach in Wales. This bravery is new. This courage is inspiring. As the Sacred Wheel turns, Samhein beckons, the time when the veil between the worlds is thin and the future, a step away. What secrets lie beyond the veil? ‘Wendy Woo’s Year – A Pocketful of Smiles – 101 ideas for a happy year and a happy you’, written in 2012, I suggest you take time to declare your intent…. ideas and new plans and, in my experience, choices. a new seed bank of our own. me and I use them when making all my life choices. waiting in the car to collect my children from school. with as many people as possible. Take your time. There’s no rush. The secret beyond the veil is your intention for the coming year. 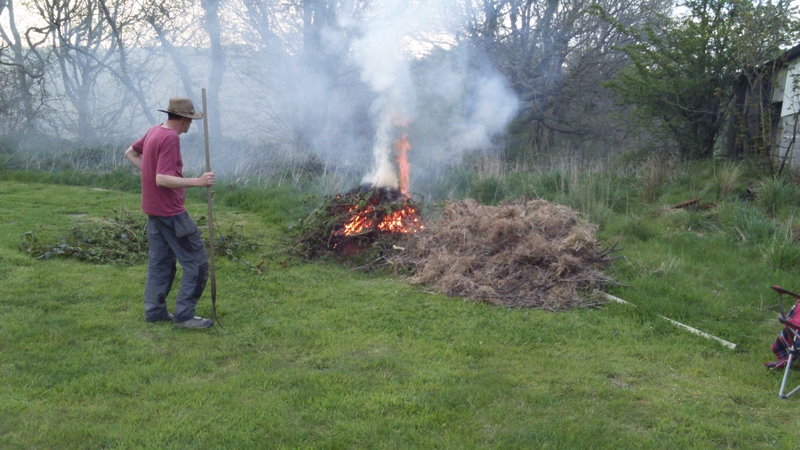 I work on my land, cutting back brambles and clearing away dead leaves and weeds. 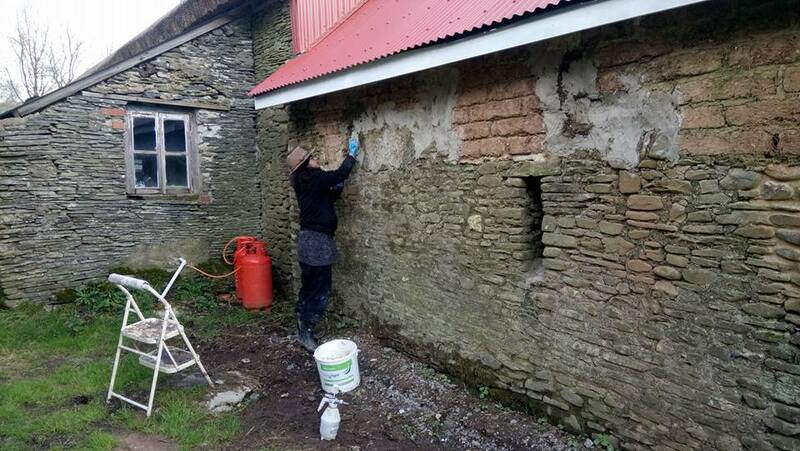 I work on my home, rebuilding, lime mortaring and white washing. The fear is gone. I allow my mind to realise my intent. On Samhein, I will release it to the universe. Say ‘helloo’ to the new Wendy Woo! 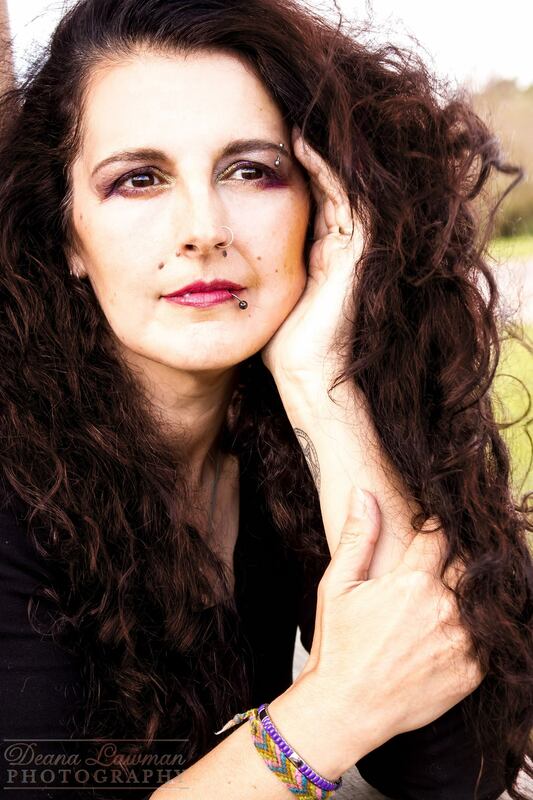 This is my new author photo, taken by my dance teacher Deana (https://www.facebook.com/DeanaPhotography) I cried when I saw it…I’ve a habit of hiding when cameras come out (hence my old author photo was ten years old! )… but Deana has captured the essence of me and I love it. On 30th April, along with 23 other authors, I will be setting my stall at the Llandeilo Book Fair…a new photo, a new challenge. I’m working on a banner, a backdrop that infers ‘This is Wendy. She’s an author, wise woman and goddess. She writes books that will inspire you and take you on a magical journey through the world of fantasy.’ I’m also giving a talk on magical realism and fantasy. There are less than three weeks until the Llandeilo Book Fair and I’m already quaking in my Doc Martin’s. I’m finding it difficult to get to sleep so, last night I began a new mantra to carry me through to the 30th April. I imagine the day and crowds of excited readers in the hall. I’m chatting and sharing my stories at my stall and I’m giving my talk and I can answer follow up questions and everyone is happy and smiling. I’ve always believed in my stories but now, it’s time to believe in myself. 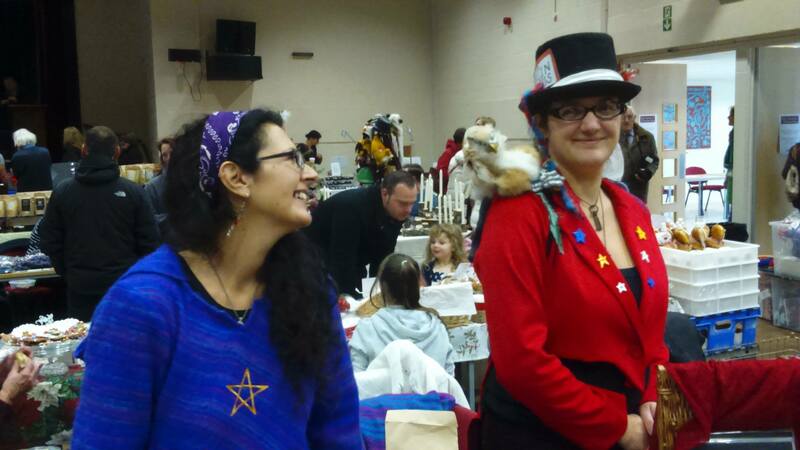 I faced the fear at stand 35 at the Lampeter Christmas fayre on Saturday, taking up position with the lovely Hayley and her Goblin Circus. I’m a writer and I love it. It’s a solitary pursuit, extracting the essence of the ideas bombarding my head and creating stories for readers to enjoy. Alone, in silence, the real world falls away and my story world comes to life. Facing my public is a whole different sack of kittens. I had a plan…smile and say ‘hello’ to everyone and sit regularly to stop my knees knocking. Hayley and Maurice, the griffin, had no problem engaging with the public while I struggled with my shyness. After an hour, I began to relax, embarking on conversations about alternate universes and the power of the standing stones and I sold and signed a few books. 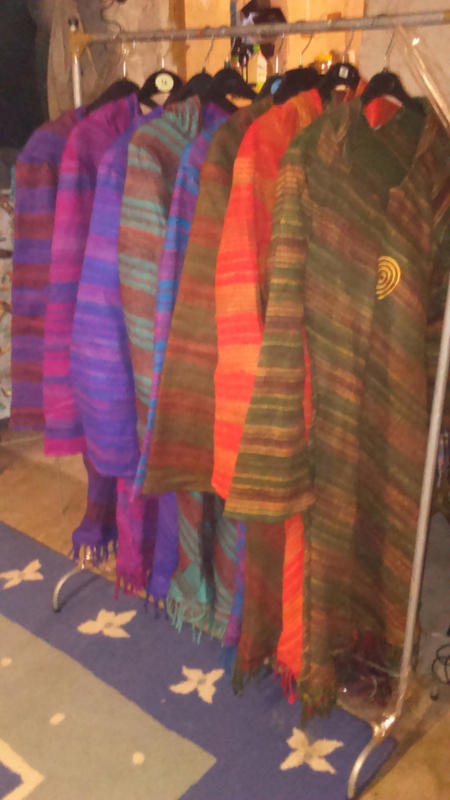 The pixie coats were admired and adored but only one sale made on the day, though I’m hoping for sales in the future. I’ve always had faith in them, having bought my first one seven years ago and that confidence helped me marketing my books. 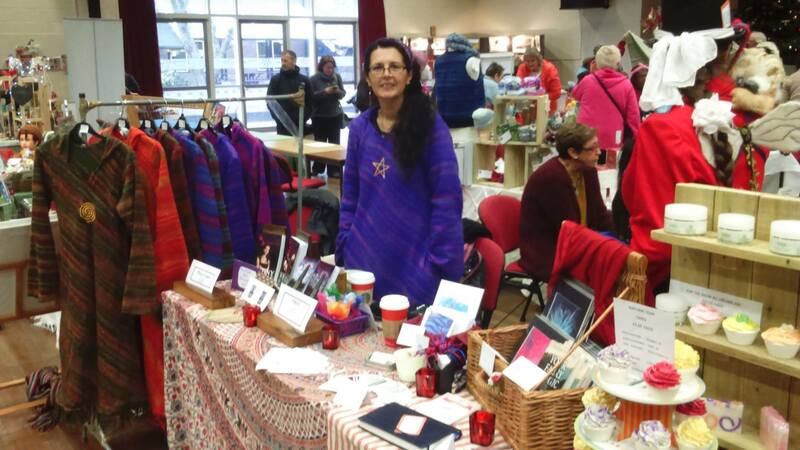 I’m at the Tregaron Christmas Fayre in the memorial hall on Friday 4th December so, if you’re in the area, do pop along and say ‘hello’ as it’s also my birthday. As the weather worsens and the cold sets in, why not snuggle up in your new pixie coat with a magical read? You can find all my books via my author pages.